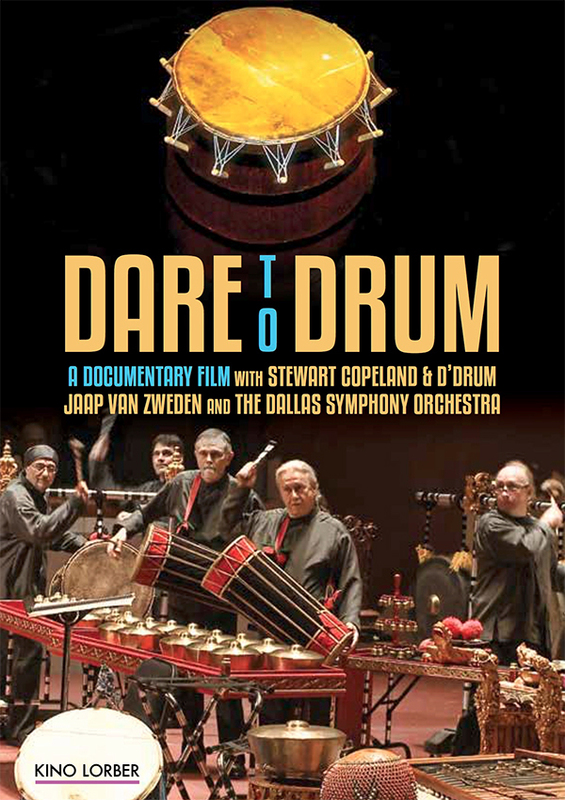 Kino Lorber announces the DVD release of Dare to Drum, a new concert film and music documentary by John Bryant that tells the story of rock star composer Stewart Copeland -- founder and drummer for The Police, 2003 Rock and Roll Hall of Fame inductee and winner of 5 Grammy Awards -- and his groundbreaking collaboration with D'Drum, a Texas-based world percussion group, and the Dallas Symphony Orchestra with the celebrated Maestro Jaap van Zweden. This release of Dare to Drum coincides with Maestro Jaap van Zweden starting his last season as Music Director of the Dallas Symphony Orchestra, and beginning his appointment as Music Director Designate of the New York Philharmonic, before his inaugural season next year as the New York Philharmonic's 26th Music Director. 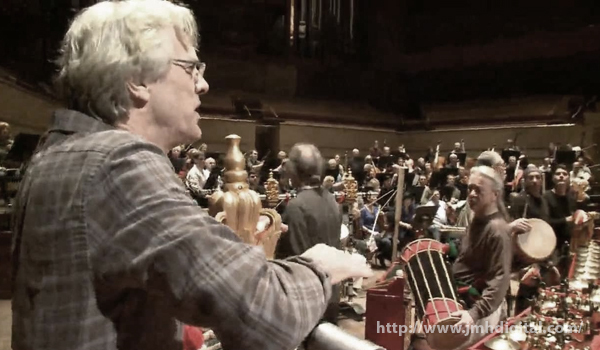 The DVD includes the full 30 minute performance of Gamelan D'Drum, a 3 movement, 35 minute composition for World Percussion and Orchestra by Stewart Copeland, commissioned by the Dallas Symphony Orchestra, giving audiences the opportunity to hear this masterful work performed in its entirety.